Dies R Us: Just a Happy Little Note! Can you believe it is already the last Wednesday for the month? I hope you have been enjoying the daily visits by our design team & getting lots of ideas for your own creations! I wanted to sneak in a little note card today as a break from all the Valentines we have been bombarding you with. lol I try to keep a stock of blank cards with no sentiments that I can grab for a quick thank you.... how are you feeling....what are you up to kind of card. 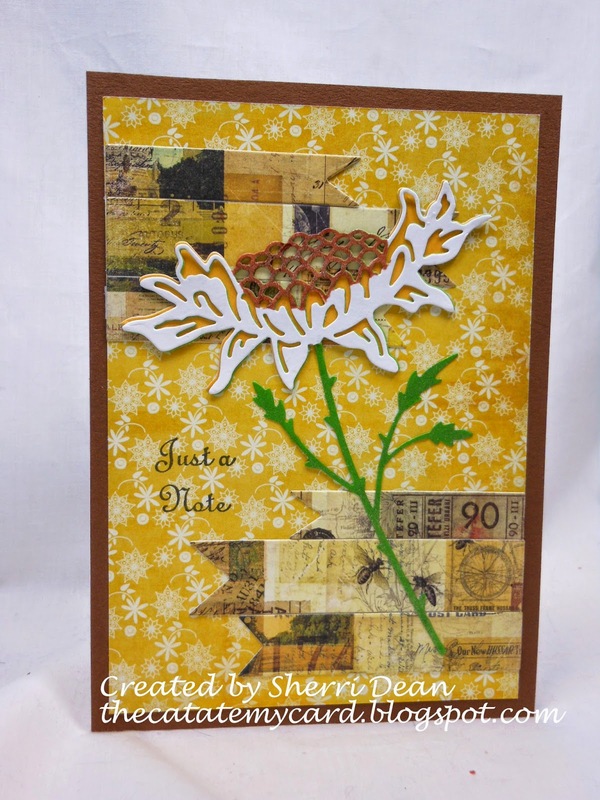 We have tons of gorgeous flowers in the store that would work for this card, but I chose Poppy Stamps Bountiful Sunflower, along with the Poppy Stamps Bountiful Sunflower Background and Poppy Stamps Classic Ribbons. Here is the result. Who wouldn't love to get this cheerful card in the mail? I wish my photography skills were better so you could see the Wink of Stella accents on the leaves, stem & center, but I think you can get the idea. This card took almost no time at all & you could easily change the sentiment to Happy Birthday, Get Well, or any other greeting you needed. Be sure you head on over to the Dies R Us Challenge blog! We have new challenges beginning on the first & fifteenth of each month with chances for you to win a gift voucher to the store! There are so many new dies coming in daily, that you really need to check back often so you won't miss anything! Don't forget to check out the rest of this week's designers & I'll be back again next Wednesday!